Restaurateur Larry Mindel (Poggio, Il Fornaio) and TV chef and author Joanne Weir are opening Copita Tequileria y Comida on Bridgeway in Sausalito this spring. The menu is inspired by Weir's cookbook, Tequila: A Guide to Types, Flights, Cocktails and Bites, and her California-influenced approach to Mexican food. The restaurant, which will take the place of Piccolo Teatro, follows other creative Mexican restaurants like Mateo's Cocina Latina in Healdsburg, La Condesa in St. Helena and C Casa in Napa. Look for dishes like spit-roasted chicken, homemade tortillas, tamales, tacos and "eight-hour" carnitas. Some of the food will be sourced from the restaurant's organic garden. The bar menu will feature nearly a dozen tequila cocktails, seasonal sangrias, wine on tap, agua frescas and, of course, beer. 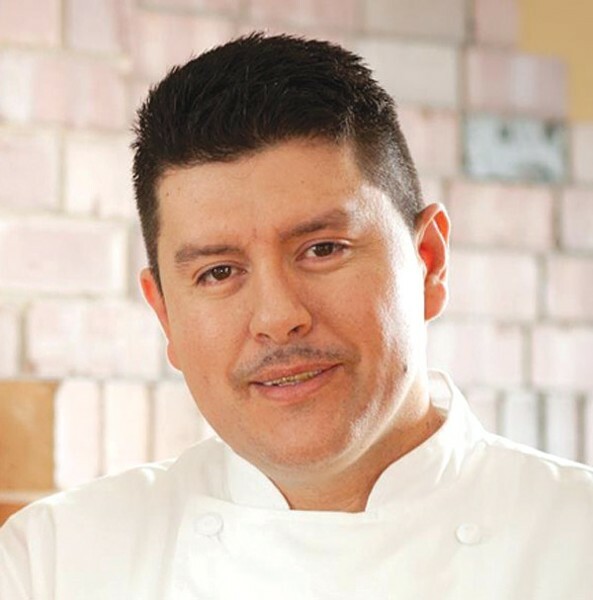 Chef Omar Huerta, pictured, will run the kitchen. Born in Jalisco, Mexico, Huerta has cooked at Zero Zero, Marzan and Picco. Anthony Fish of Arcanum Architecture, whose previous work includes Poggio, says he designed Copita to be a comfortable neighborhood spot with a contemporary Mexico City feel. The dining room will seat 47, including a communal table. For more, see www.copitarestaurant.com.